There's no such thing as over accessorized! Thanks so much to my sweet little model Paige! Welcome to BowDacious Baby! We're so glad you stopped by! 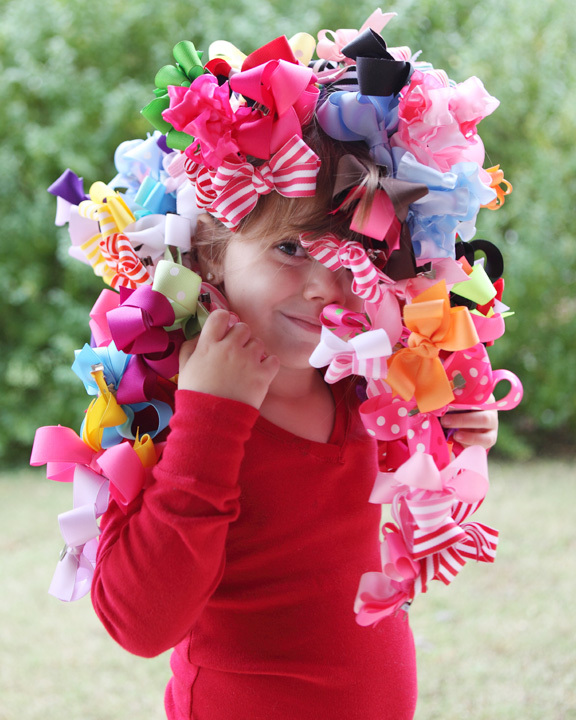 If you're looking for infant, newborn, toddler, or big girl.....you'll find The PERFECT hair bow at BowDacious Baby! Inside we are sure you will find the perfect hair bow for that special occassion, custom or just for everyday! We have an extensive and growing product/category line including, free hairbow instructions, newborn baby hair bows, infant baby hair bows, toddler girls hair bows, big girl hair bows, baby headbands, crochet baby headbands, crochet baby beanie hats with flower and hair bows, holiday hair bows, loopie hair bows, M2M Gymboree hairbows, M2M Gap hair bows, DIVA Hair Bows, monogrammed hair bows , monogrammed headbands, wrapped headbands, woven headbands, monogrammed pony o's, headband holders, and much, much more!!! !